Address; Electrical Dept, Aldi, Wellington Road, Donnington, Telford, Shropshire. TF2 8JS. Aldi supply a wide range of Electrical goods such from Microwave ovens to LCD and Plasma TVs and Computer systems - All at discount prices. Aldi supply a wide range of Electrical goods such from Microwave ovens to LCD TVs and Plasma TVs and Computer systems - All at discount prices. Argos Extra, Telford Bridge Retail Park, Telford. Address; 7 Colliers Way, Old Park, Telford Bridge Retail Park, Telford, Shropshire. TF3 4PB. Address; 142 New Street, Town Centre, Telford, Shropshire, TF3 4BP. Address; Electrical Dept, Asda, Donnington Wood Workshops, Bradley Road, Donnington, Midland Oak Estate, Telford, Shropshire. TF2 7RX. Asda, Donnington Wood is the one of two (and the newest) Asda Supermarkets - Food Shops in Telford. Address; Electrical Dept, Asda, 100-110 The Border, Telford Centre, Town Centre, Telford, Shropshire, TF3 4AB. Asda Telford Town Centre is the one of two Asda Supermarket in Telford. Address; Forge Retail Park, Colliers Way, Old Park, Telford. Shropshire. TF3 4AG. Independant Electrical Shop based in Oakengates, Telford. Address; Euronics Power Point Electrical, 20-22 Market Street, Oakengates, Telford, Shropshire. TF2 6ED. 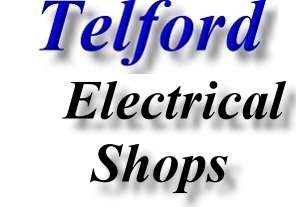 Wellington (Telford) based Independant Electrical Shop. 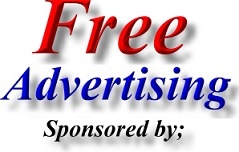 Address; Euronics Power Point Electrical, 63 New Street, Wellington, Telford, Shropshire. TF1 1LU. Shop online at Homebase for all your Home Electrical requirements. Homebase have over 2800 products to choose from including cookers, fridge freezers, televisions, washing machines, dryers, vacuum and carpet cleaners, telephones, home office equipment, DVD, blu-ray and video, dishwashers, sat nav, toasters, kettles, coffee machines, blenders, steamers, juicers and bread makers. Make your house a home with Homebase. PC World, Forge Retail Park, Telford. Address; Unit 5A, Forge Retail Park, Telford, Shropshire. TF3 4AG. PC World Telford offer great deals and cheap prices on the latest technology for computers in Telford and entertainment products. Tesco Homeplus Supermarket; Forge Retail Park, Telford. Address; Electrical Dept, Tesco Homeplus, Unit 9, Forge Retail Park, Telford, Shropshire. TF3 4AG. Tesco Extra Supermarket; Wrekin Retail Park, Telford. 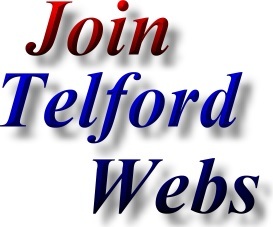 Address; Electrical Dept, Tesco Extra, Wrekin Retail Park, Arleston, Telford, Shropshire. TF1 2DE.